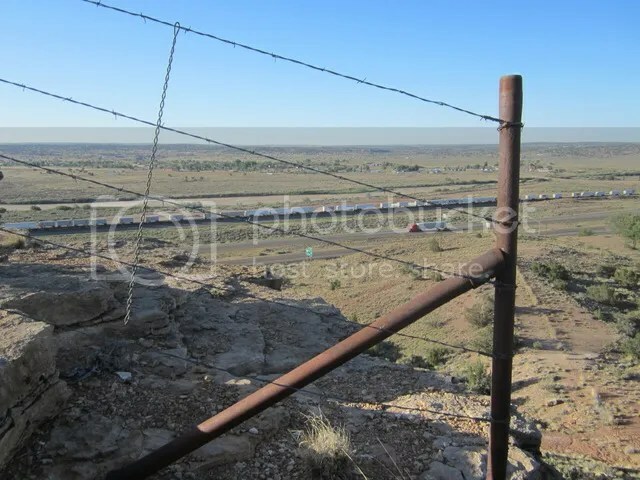 Posted on May 31, 2012, in Arizona, Carry on Tuesday, fence, Friday's Fences, Haiku My Heart, Himmelsk, Northern Arizona, senryu, Sky Watch Friday. Bookmark the permalink. 42 Comments. Beautiful clear, blue skies and a terrific capture as always! And as always, I do love your composition! Enjoy your weekend!! The endless journey symbolised by a straight road! Lovely sense of space in this delightful scene! I like the composition and the image of various modes of transportation, travel by foot being implied from the location of the viewer. I like this original composition. Saludos. I like that for so many reasons it would fill the comments page. Beautifully done. That’s a nice variation on some of the landscapes we post -like the fence and rail line. Most of the trees that change colour here are not native – the ones in my post are Silver Birch in my back garden. I planted them to shade a west facing wall in the summer, but let the sun through in the winter. Its a little bit or free cooling and heating. Very nice photo…the long view! And the haiku is perfect, as always! Well done!!! Have a wonderful weekend!!! if you travel long enough…. you will sing every refrain. Journeys are so important – especially of discovery. The wide open spaces and sunshine worked so well with your haiku. Love the long train in the background and the fact you can see so much of it in one sweeping vista. The fence in the foreground adds a lot of interest – really great photo! The long journey would seem more interesting with a song 🙂 Thanks, MMT. Great composition on this photo! A fence as frame for commerce? What a great “eye” to take advantage of the possibilities in this frame. I am easily captivated by the road, whether it be straight or twisted. There is always a horizon to reach. Been a while since I’ve been around, but things will return to normal, (what ever that is), soon. Having grown up the daughter of a RR man, often we lived right near the tracks. A train whistle blew a long and mournful warning the night he died. This surely holds the rhythm of the road!! Nice haiku and great pic too! Nothing better than great music on a long road trip! Whenever I find a straight and true road I feel relieved. So much of the time it is winding and I cannot see past the curve. Thank goodness for the song. A great photo to accompany your haiku. A straight and true road–have rarely found one of those except through the deserts of the western U.S. As a kid traveling cross country with my folks, I LOVED those trains. Music of the road — percussion provided by the clickety-clack of trains. Great shot. I love how you can see for miles and miles out there. I like looking through the fence to the the truck and train below. This photo has great atmosphere.